(HOLMDEL, NJ) — The Holmdel Theatre Company will present a reading of Stephen Larsen’s play My Old Friend on Monday, June 4th at 7:00pm. 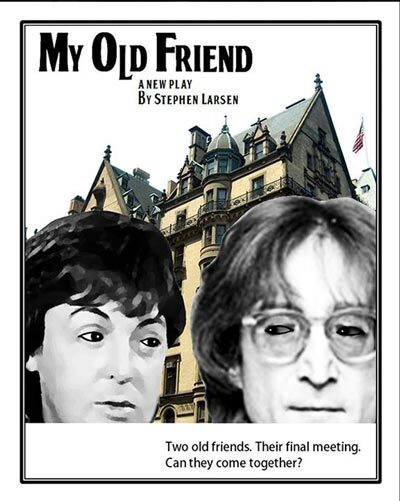 The play is about a little-known final meeting of John Lennon and Paul McCartney. This is the first public reading of the play. Admission is free and coffee is served. The play begins on November 5, 1980. 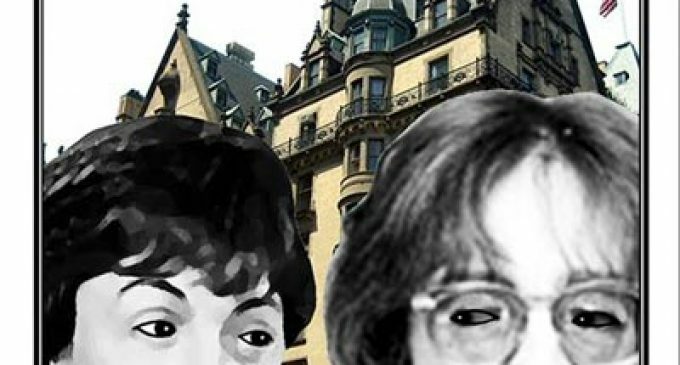 John Lennon, alone in his apartment at the Dakota in New York City, is at a crossroads. He has been having recurring dreams of death and is ready to make big changes in his life, that is if he can summon up the courage. Just then, who should appear, unannounced at his door but Paul McCartney. The two haven’t seen each other for about four years. John is both glad and a bit wary at the sudden appearance of his old friend. Can they mend fences? Can they come together? Or they forever doomed to be bound by the strands and complications of their shared history? I’m guessing you are a fan of either The Beatles or John Lennon. What do both mean to you? First off, I am a fan of all of The Beatles – as a band, as individual artists and as people. The older I get, the more amazed I am at the amazing grace with which they handled – at such a young age – being in a fishbowl of fame very few have experienced or can even imagine. They entered my life at a very difficult time. My mother died when I was 10 in Sept. 1963. President Kennedy was assassinated in Nov. 1963. I was reeling. Then the Beatles arrived, appearing on the Ed Sullivan Show I February, 1964; for the first time in months I felt that there was hope. Their music was great, they were so witty – I bought every Beatles record and magazine I could get my hands on. Early on, I learned John and Paul also lost their mothers at an early age – that bonded them together, and it bonded me with them. I figured ‘if they could get through it, so can I…’ And I’ve followed them ever since; you could say, I’ve done 50-plus years of research for this play. Finally where are you personally from and where do you live? I grew up on Staten Island, NY, which is ostensibly part of New York City (in the sense of being a limited partner to George Steinbrenner – there is nothing quite so limited). I always felt like a prisoner in a nowhere land when I was growing up on Staten Island – I’d see all the people taking the ferry to the City every morning for work and dreaded that I would someday have to do that for the rest of my life (I wrote a play about that experience called Ferry – kind of like Waiting For Godot, except it’s with two teenagers on the Staten Island Ferry). I moved to New Jersey when I took a job at Fort Monmouth; I currently live in Toms River, NJ.